Most young people can't think of their prom without thinking about getting a limo for the big occasion. Prom Limo Hire has an extensive fleet of limos and prestige cars to get you and your friends to the prom in style. An enormous amount of time and effort is placed on preparing you for leaving school for college, university or employment. Part of this preparation is putting closure on your school life by celebrating your achievements made at your school prom. Prom Limo Hire specialises in providing stylish transport for this event which will be hip and trendy. We have recognised the need to adapt our service to meet the needs of young people. We ensure that there will no alcohol available in the bar but we will provide a complementary bar of soft drinks. Prom Limo Hire vehicles have great sound systems and interior lighting that it will feel like you are already at the prom or in a nightclub. We are aware that music tastes will be different than some of our other clients, and may change depending on which class of mates they ‘hang out' with. We will provide a wide and varied CD collection but encourage all young people to bring along their collection for them to play as they travel to the prom. Choose one of our impressive, stylish limousines. They are 30 foot long and can travel with up to sixteen passengers, providing dynamic fashion design and detail. 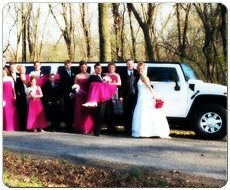 Prom Limo Hire offers a superb choice of H2 Hummer Limo, Lincoln town car limousines, Pink Limousines, Lincoln Navigator limos, Super stretched Hummer limousines or C300 limousines (a.k.a Baby Bentley Limousines). 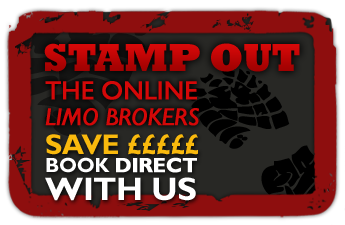 Prom Limo Hire are here to offer you a full Limo Hire Service for you Limo Hire Nottingham, Limo Hire Leicester, Limo Hire Birmingham, Prom in Lincoln, Prom in Sheffield and many other areas in the Midlands. We enjoy providing transport for school prom events; the young people are often so hyper and very excited. They tend to be dressed in tuxedos and ball gowns and behave so maturely. Our chauffeurs provide door to door service to the prom by collecting all the young people from one address and take the group of friends to the prom venue in one of our limousines. Prom Limo Hire will ensure everyone arrivals in style. The chauffeur will open the limousine door and heads will turn with envy as you step out of your limousine. 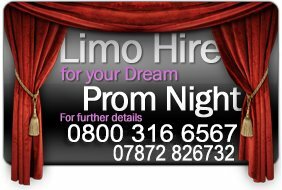 Everyone will feel fabulous as they mark the end of the school year with Prom Limo Hire – it will be such a buzz!! Home | The Fleet | Your Night | Testimonials | Pricing | Contact Us | Articles Copyright © 2016 Prom Limo Hire. All rights reserved.